Cloudehill Gardens are open to the public all year round, 7 days a week, with an onsite Diggers Club Garden Shop and the Seasons Restaurant. 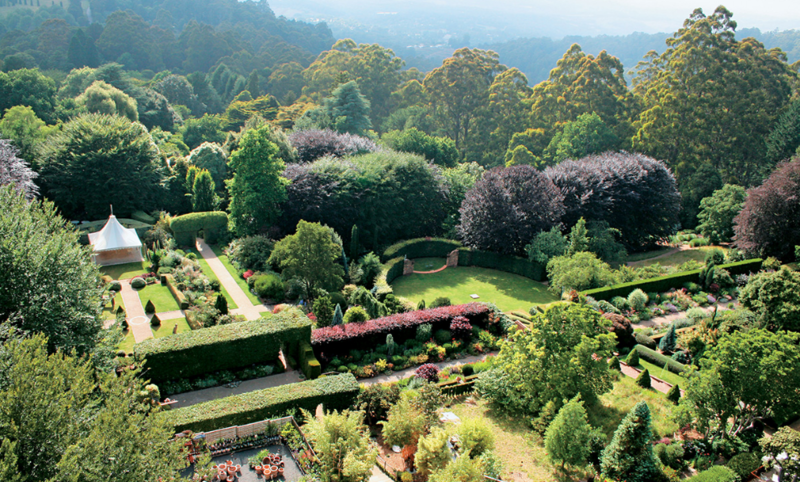 On March 2 & 3, 2019, The Diggers Club's Cloudehill Festival of Flowers will come alive, with loads of free mini-workshops, garden tours and family friendly activities. Entry to the festival and to the gardens all year round is $10 for visitors, or completely free for all Diggers Club members and children under 16. See you in the garden! Diggers Club members and children under 16 FREE. Cloudehill is open all year round as a public garden, but the Festival of Flowers runs on March 2 & 3. See https://www.diggers.com.au/whats-on/cloudehill-festival-of-flowers/ for full details. Annual Rainfall avg: 1276mm. Summer avg. 234mm. No. of rainy days: 59 Winter avg. 354mm.